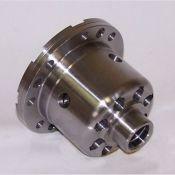 We have many options available for your differential needs. 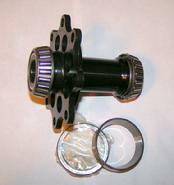 We have full spools which allow you to “lock” your rear axle. This is similar to welding the spider gear assembly but is far stronger. 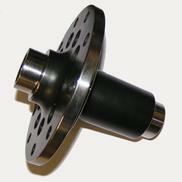 We have many customers who drift using our spools. Although there is a lot of “talk” about this subject on the forums few people realize the full spool option is a good one. Since the spool is made from a single forging there are no small parts to break and no clutch plates to wear out. Also, the spool reacts the same every turn, every time. We do not recommend the spool option for daily driven vehicles. 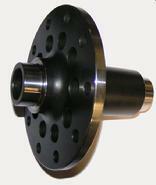 Our spools are made from forged chromemoly steel, heat treated then finished machined. We are also a Kaaz LSD distributor and can supply their full lineup of LSD units for those who want a high performance LSD unit far superior to any O.E.M. unit. These LSD units work exceptional at the track and you can still drive your car to the burger joint after the event. Big congrats to Odi Bakchis 2011 FD rookie of the year! Other applications available, please call for details! We can also rebuild many O.E.M. LSD units, please see our MAXGRIP LSD page. We do have some used LSD units in stock at times, call for details.